The British weather is unpredictable, meaning that it can be very difficult to dry clothes at the time you need to, that is unless you have a tumble dryer. 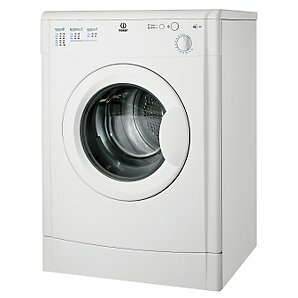 They make life much easier, especially for families, meaning that you can wash and dry in no time at all. Because we grow to rely on tumble dryers so much, when things go wrong it is essential to find a specialist in tumble dryer repairs who can do the job reliably, at a sensible cost and at a time that suits you. Advanced Appliance Care specialise in tumble dryer repairs, as well as a wide range of household appliances including washing machines, washer dryers, condenser dryers, dishwashers, fridge freezers and American style fridge freezers. They offer a competitively priced, fast and highly efficient repair service, and pride themselves on always being able to offer a first class service to their customers, ensuring they carry out all repairs at a time that is convenient and causes minimum disruption. Advanced Appliance Care are confident in the quality of all their workmanship, because unlike their competitors, all their work is carried out by their own team of in-house, highly skilled repair engineers; for your convenience they endeavour to achieve a same day or next day service and offer a 24 hour 7 day a week telephone answering service. Anybody in the areas of Andover, Bournemouth, Christchurch, Gosport, Lyndhurst, New Milton, Portsmouth, Ringwood, and Southampton looking for quality tumble dryer repairs should contact the experts at Advanced Appliance Care. They have many years experience and are sure to be able to assist you and ensure your appliance is working again as quickly as possible.